The fight might be gruesome, but well worth it for the taste of victory. With the Torson Leather Greaves protecting your lower legs, you step confidently onto the battlefield, the runes embossed at their knees boosting your resolve. Handcrafted from high-quality leather, each greave in this set of two features stylish straight lines embossed down the length of its front and along its edges. 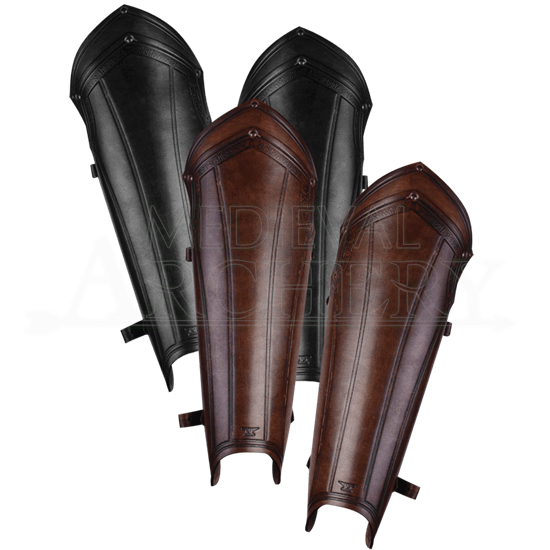 Secured to the back of the leg via two adjustable leather straps, these leather greaves sport a slightly flared look, ending in a point near the knee cap. 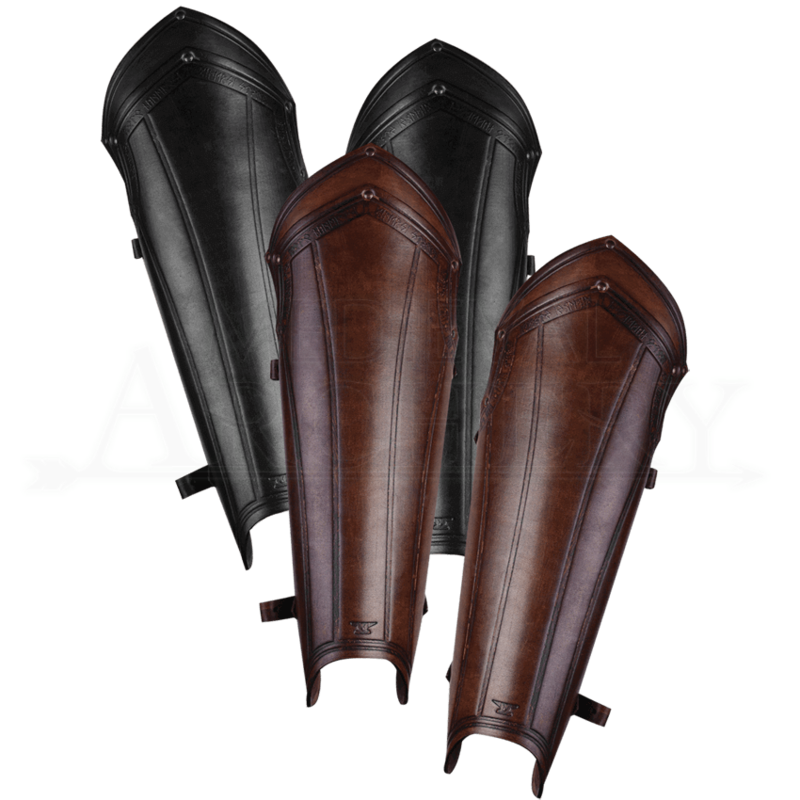 Their rugged warrior style further emphasized by their antique finish, these leather armour greaves are ideal for LARP battle and armoured looks from both history and fantasy.